It has taken Professor Marshall Lightowlers and his research team 36 years to develop effective recombinant vaccines against parasitic infections that can destroy the lives of many of the world’s poorest people. It has been a remarkable journey, defined by hard work, good judgment and great luck. The work has focused on two diseases, cysticercosis and echinococcosis, that are caused by the larval stages of worm parasites. Almost exclusive to poor countries, they are transmitted from animals to humans and can lead to a variety of potentially deadly symptoms, including cystic lesions in the liver and lung, as well as epilepsy. Professor Lightowlers concentrated the team’s energies on developing vaccines for animals because, although they would also work in humans, the cost of a human vaccine would be prohibitive. Animal vaccines are significantly cheaper to develop and to license. The team also struck the mother lode on the proteins produced. “Many things that are produced by genetic engineering methods don’t form the right shape,” he says. He likens the breakthrough to a religious experience or to catching a fantastic wave when surfing. “When you are doing scientific research, you are naturally doing things that have never been done before. “You are extending knowledge and on occasion, you are lucky enough to see the results and recognise what you see is quite a substantial breakthrough,” he says. 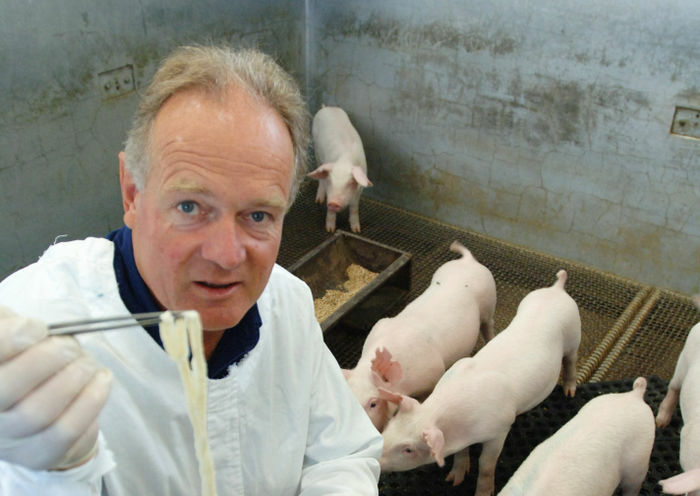 For a veterinarian who originally dreamt of becoming an orthopaedic surgeon, Professor Robin Gasser has made an indelible mark in the world of parasitology. He has done this by trying to unlock the molecular biology of parasites, finding their Achilles heel, if you will, so that these organisms that bedevil man and beast can be better controlled. Born in Camperdown, Professor Gasser moved to Switzerland, his family’s native land, when he was 15. During a stint in the military there, he enlisted in the veterinary corps and discovered a passion for veterinary medicine. A lack of work opportunities in surgery and internal medicine ignited an interest in research. In their efforts at the Faculty to discover drugs and vaccines that work effectively, Professor Gasser and his team have been working to gain better insights into infectious diseases, disease processes, the biology and evolution of parasites, and the interactions of pathogens with their hosts. Genomics has revolutionised research. Thirty years ago single genes were explored, cloned and expressed. 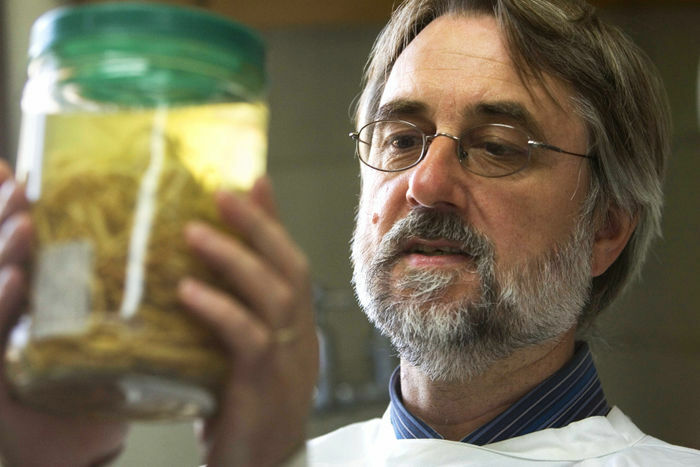 “We knew a little about parasite genes, but not much,” he explains. “These days you’re basically sequencing all genes (genome) at once, and having to process and analyse enormous amounts of data. As a child growing up in Calcutta, Dr Rebecca Traub would take home many of the stray dogs and cats she found on the streets. She cared for them as best she could, but most became sick and died. It would be many years before she would discover the cause of their deaths, and by then she had already vowed to make a difference in the lives of sick animals. She identified the killers of her animals during a lecture on heartworm and hookworm at Murdoch University, where she was studying veterinary medicine. Hookworms are blood-sucking worms that live in the small intestine and cause debilitating diarrhoea and anemia in puppies. They are one of the most prevalent infections in dogs in the tropics. However, her discovery that one such canine hookworm is also the second most common hookworm in humans in the Asia-Pacific region has been the most significant moment in her career. Ancylostoma ceylanicum, as the hookworm is known, was believed to be so rare in humans as to hardly rate a mention. Dr Traub’s research overturned that belief. 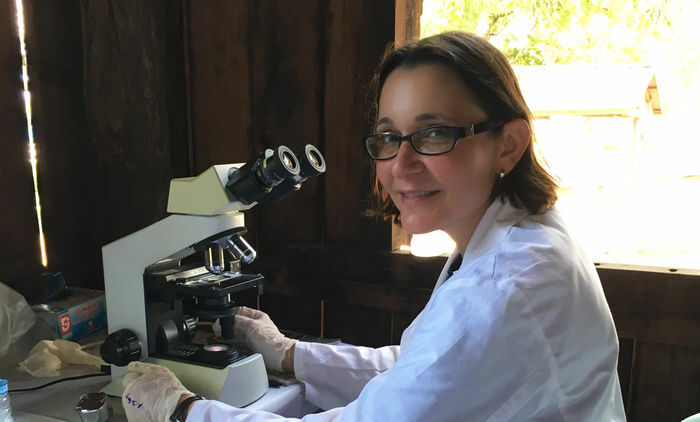 “I started looking in humans using more advanced molecular-based diagnostic tools and since I started the research in 2004, we have established quite strongly that it is the second most common hookworm in humans in the entire Asia-Pacific region,” she says. Transmission usually occurs in rural or semi-rural communities where there is little sanitation and people walk around barefooted. Hookworm larva can penetrate the skin of humans.